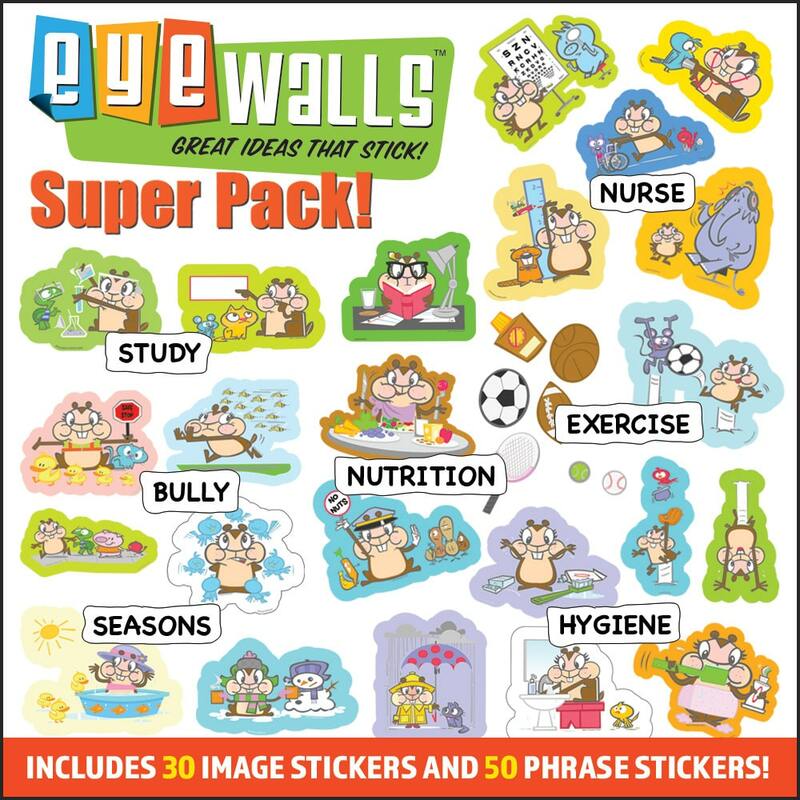 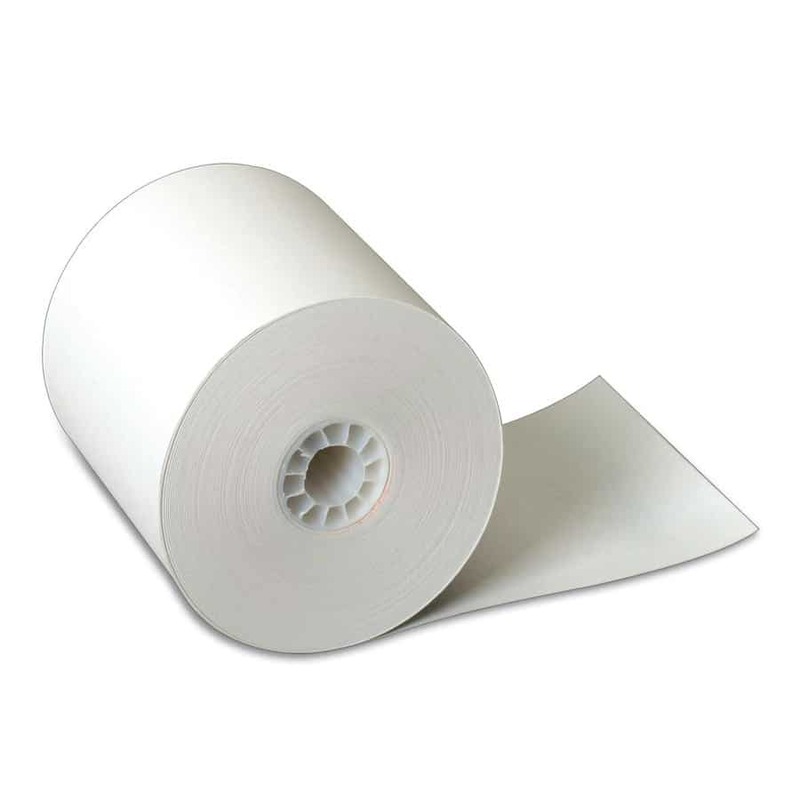 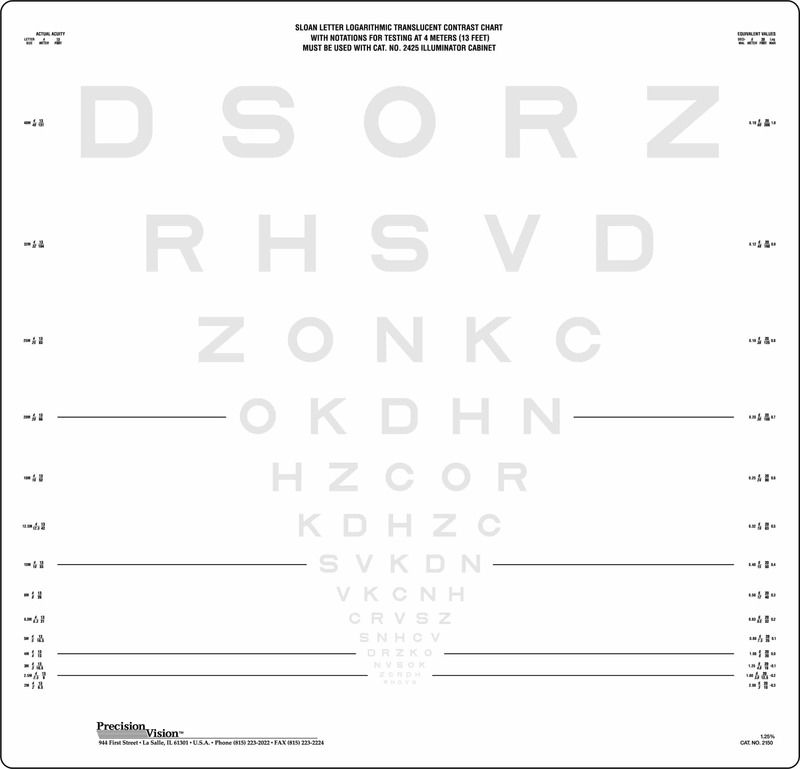 Visual acuity measures the ability to recognize small objects with high contrast. 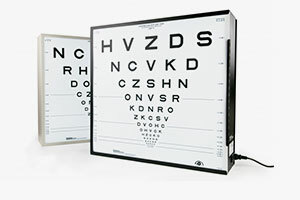 Often however, the visibility of objects in our environment is limited more by lack of contrast than by their small size. 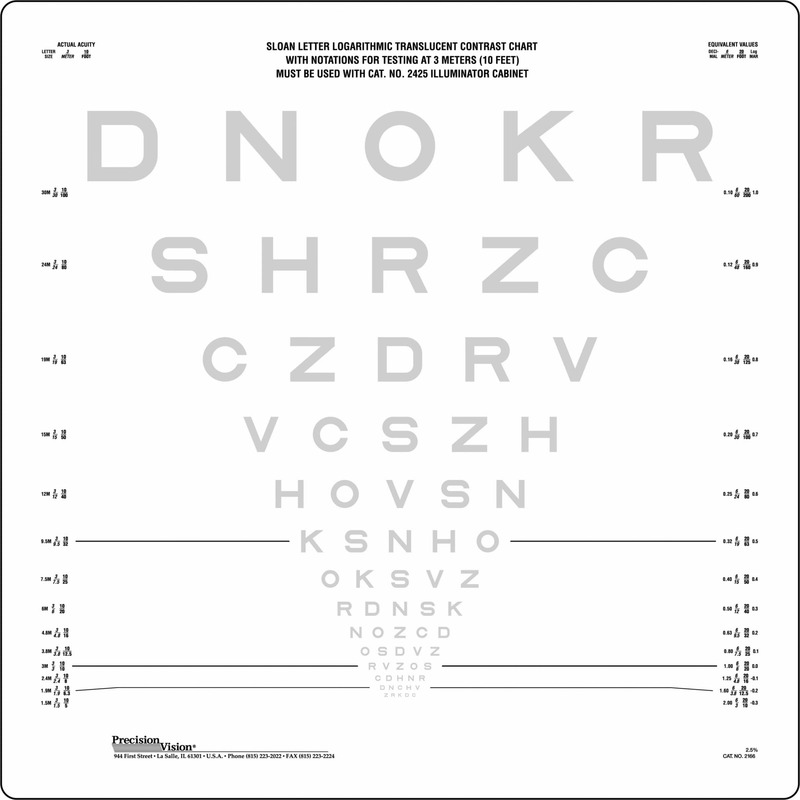 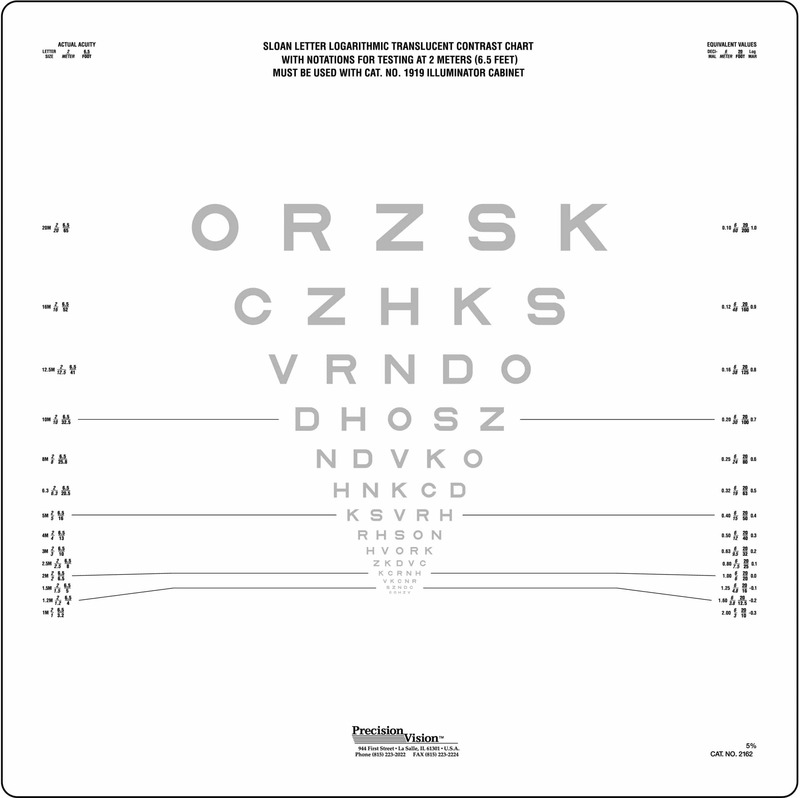 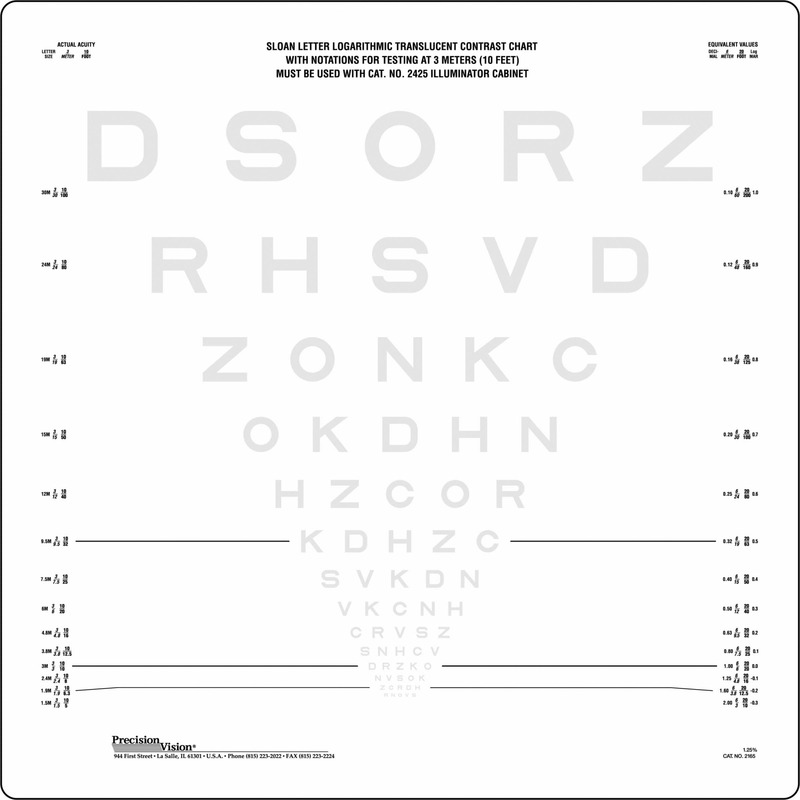 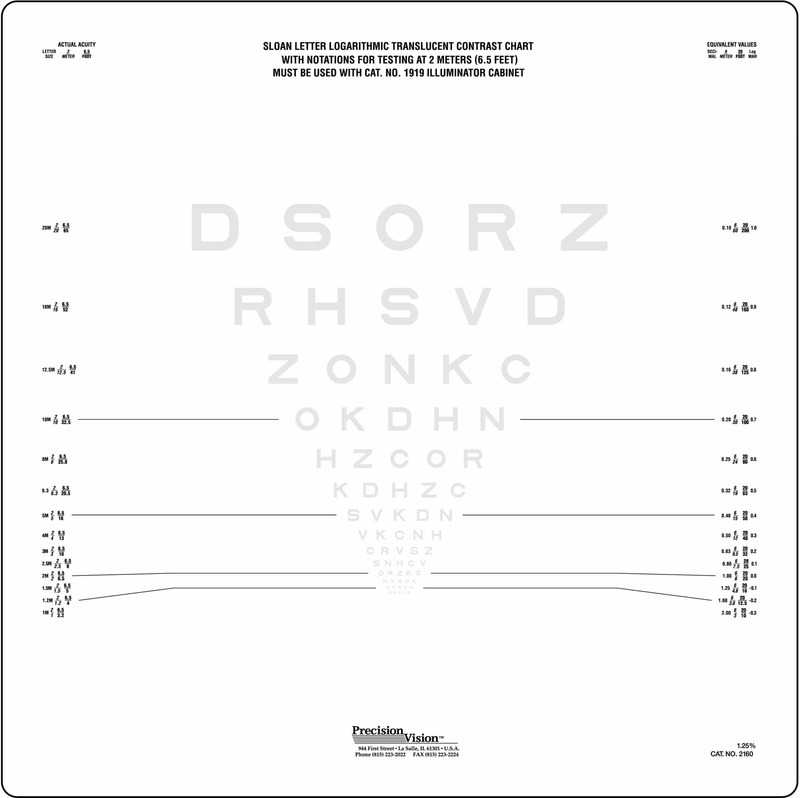 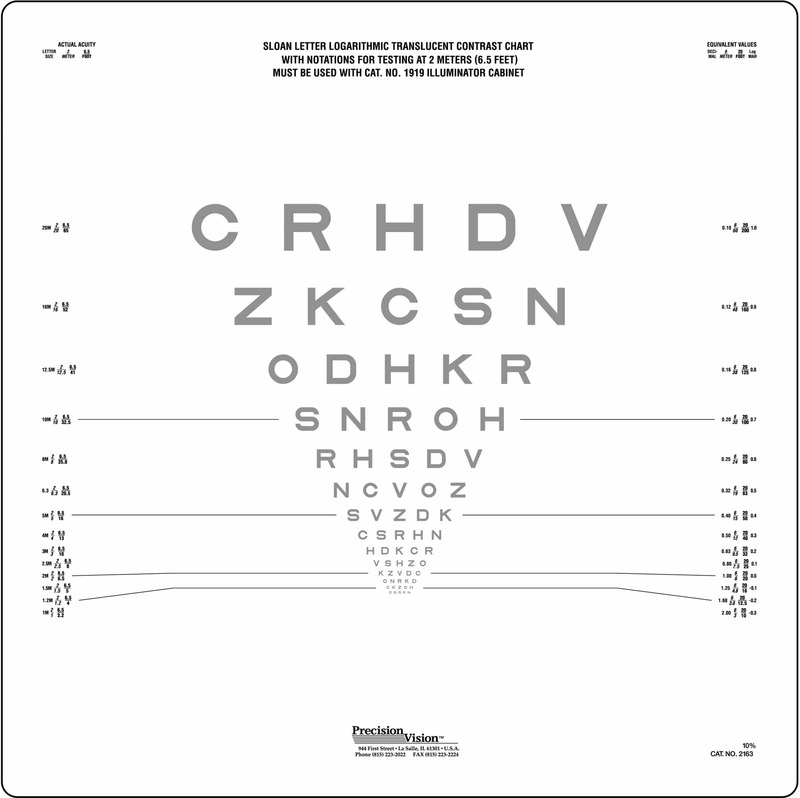 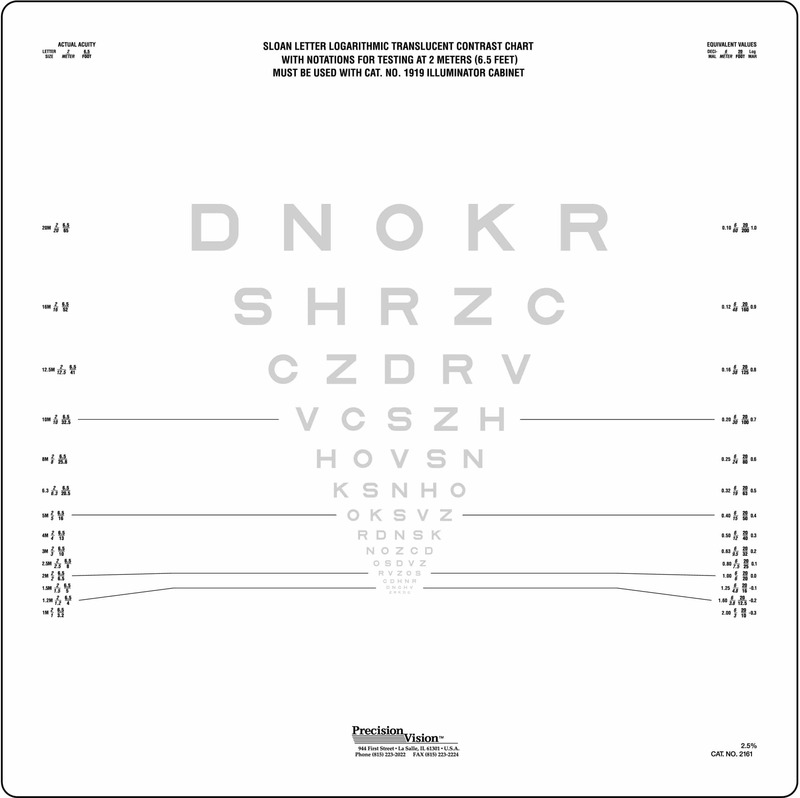 Precision Vision offers a number of low contrast ETDRS eye charts to help you accurately measure a patient’s contrast sensitivity. 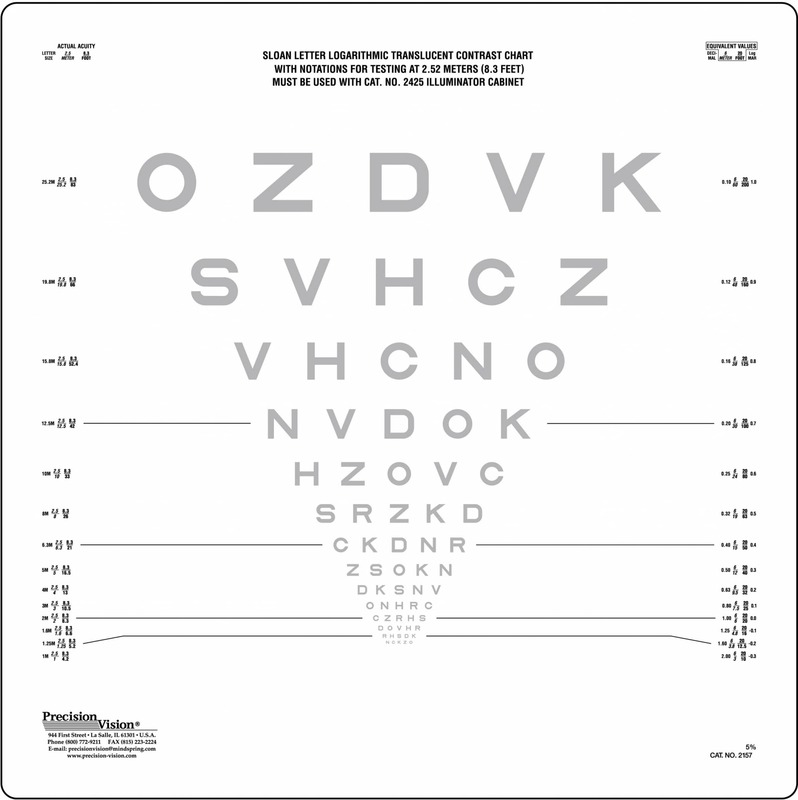 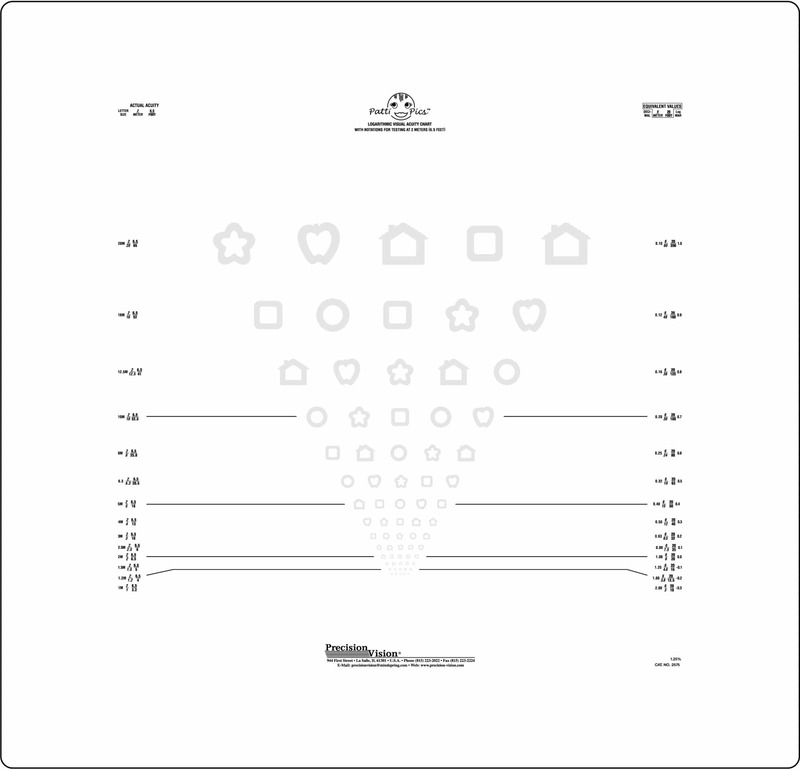 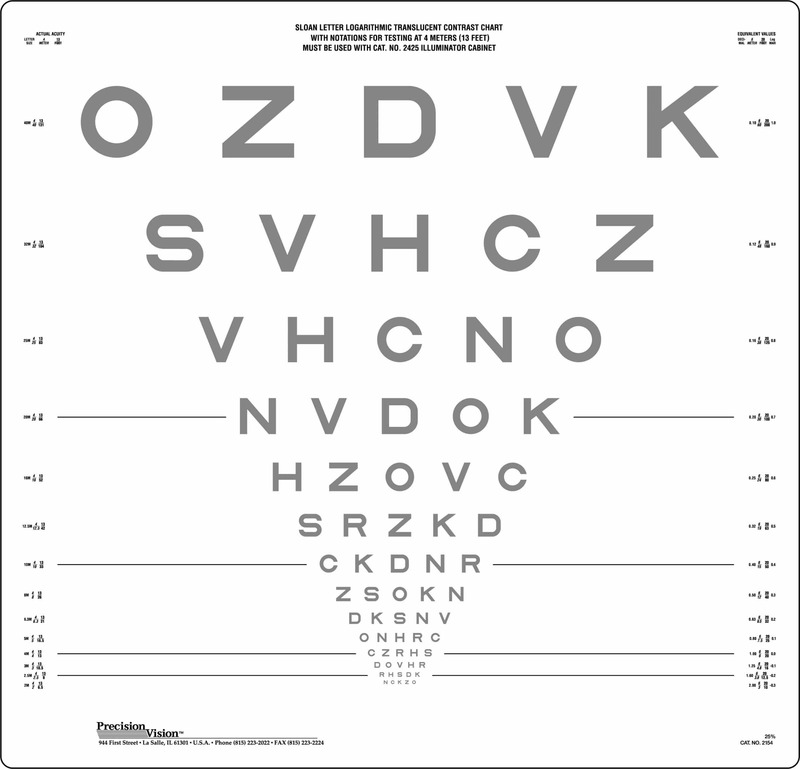 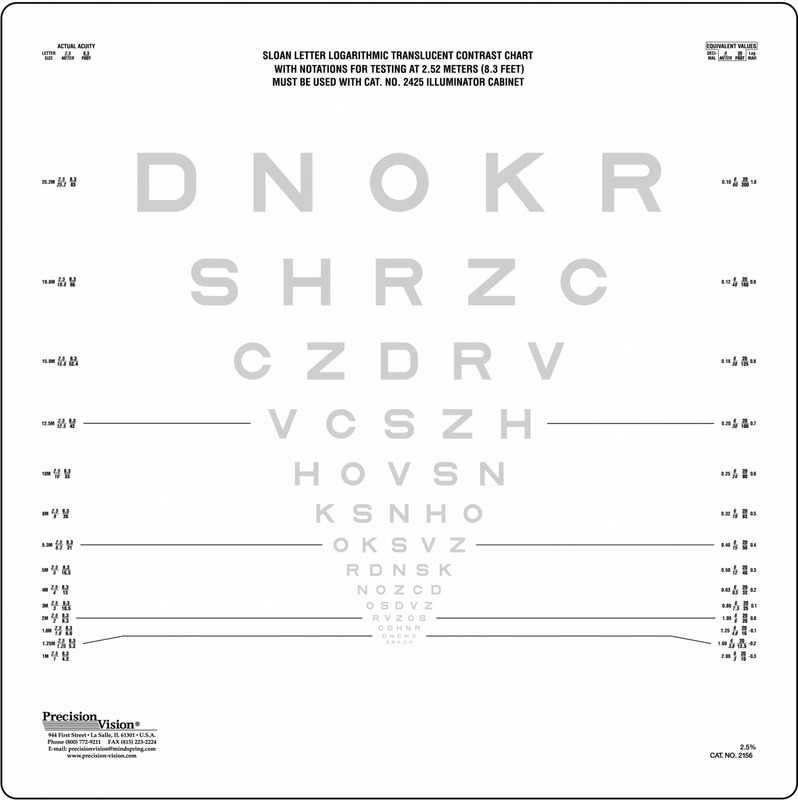 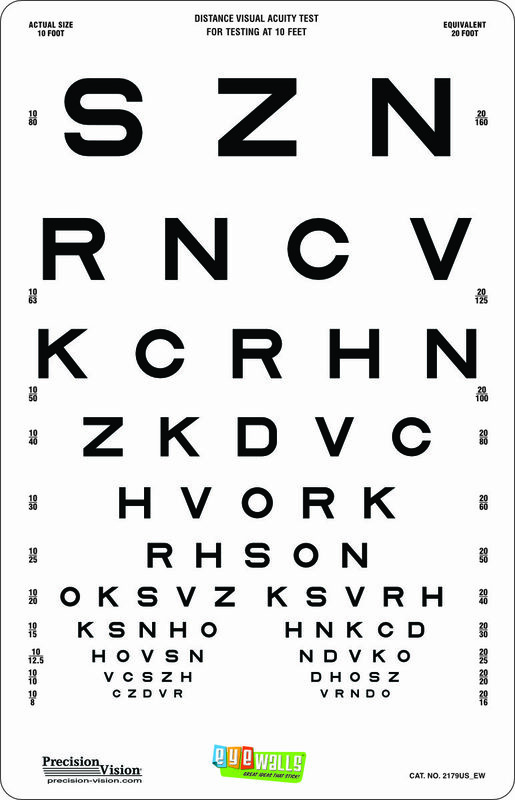 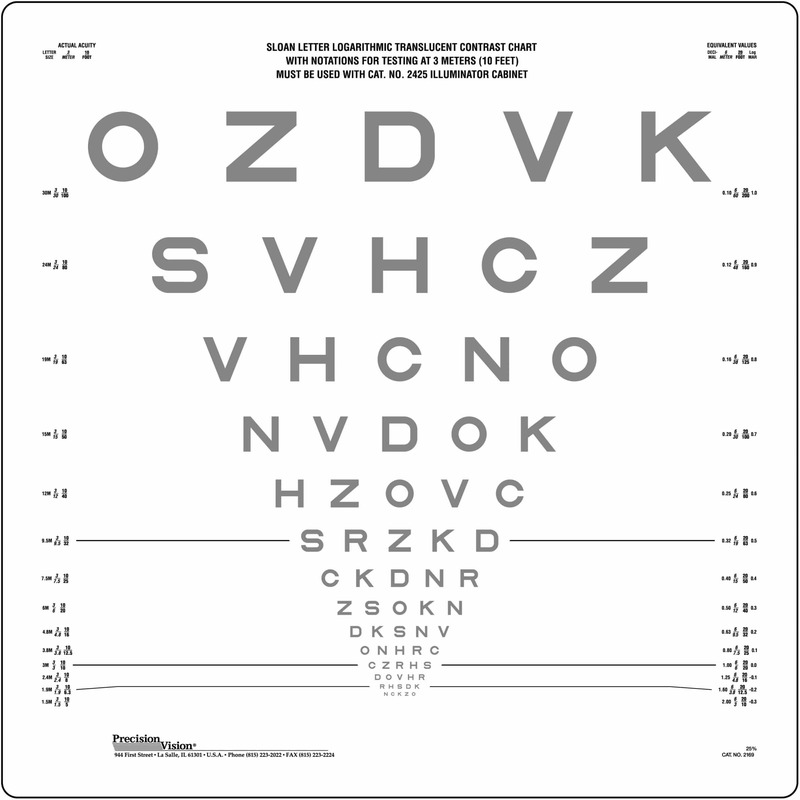 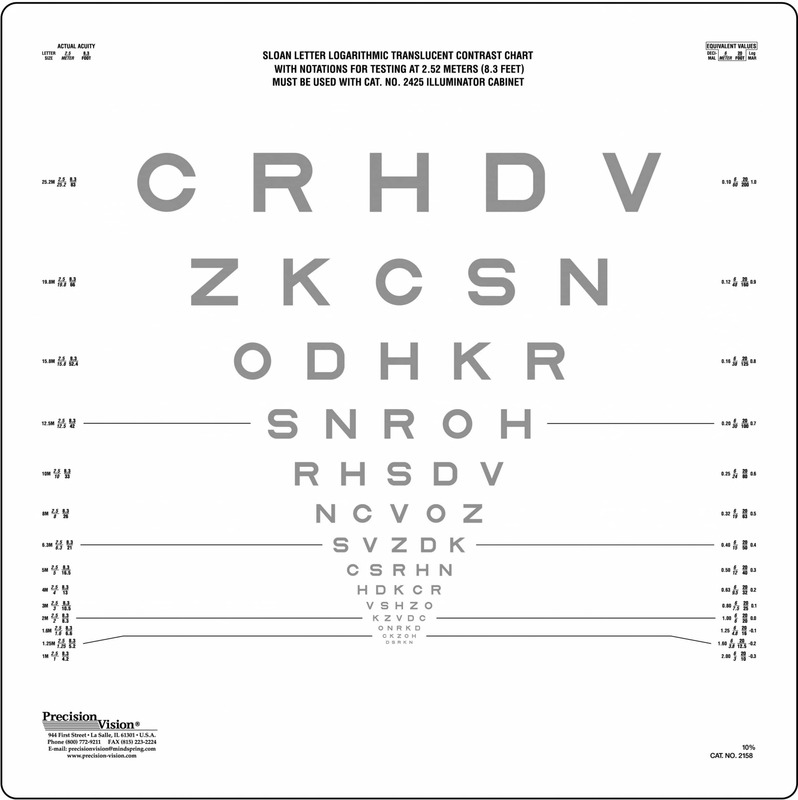 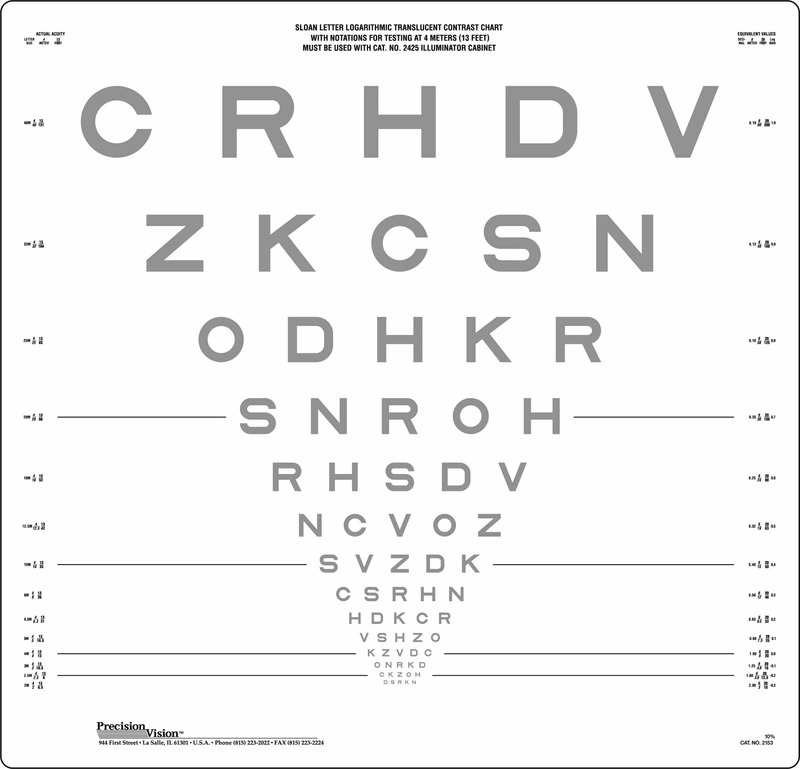 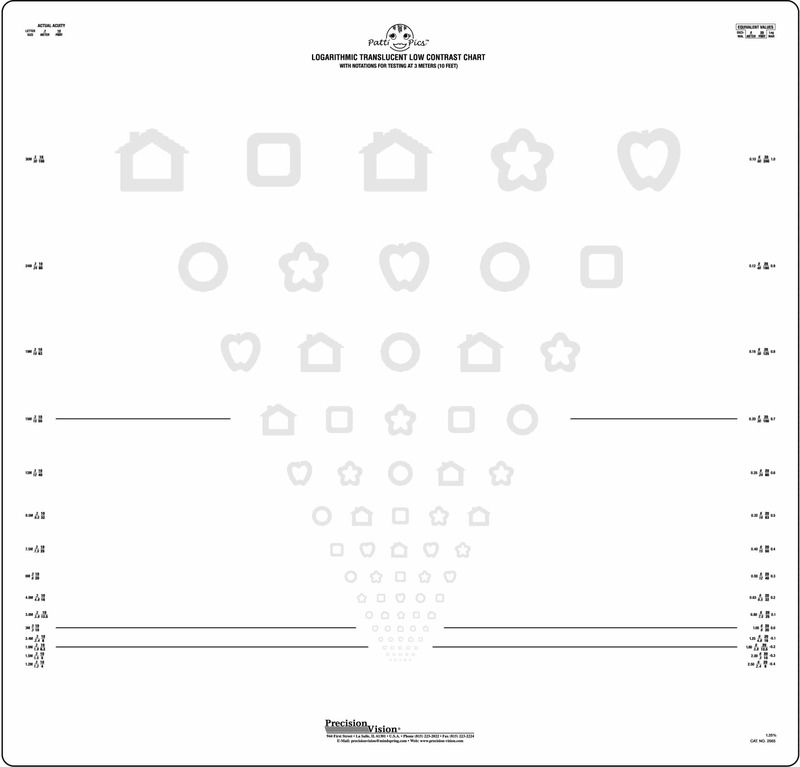 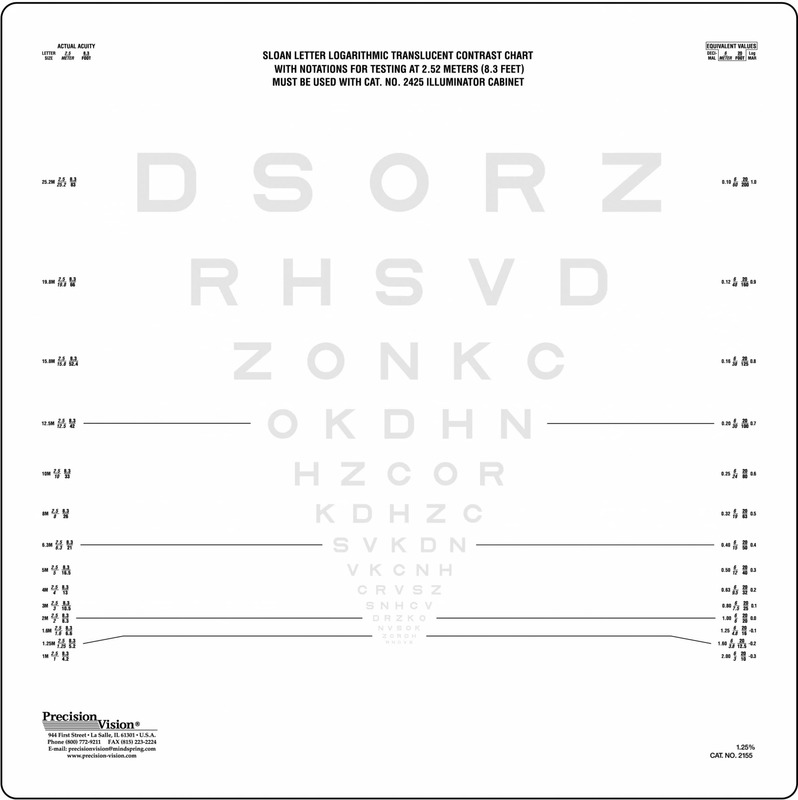 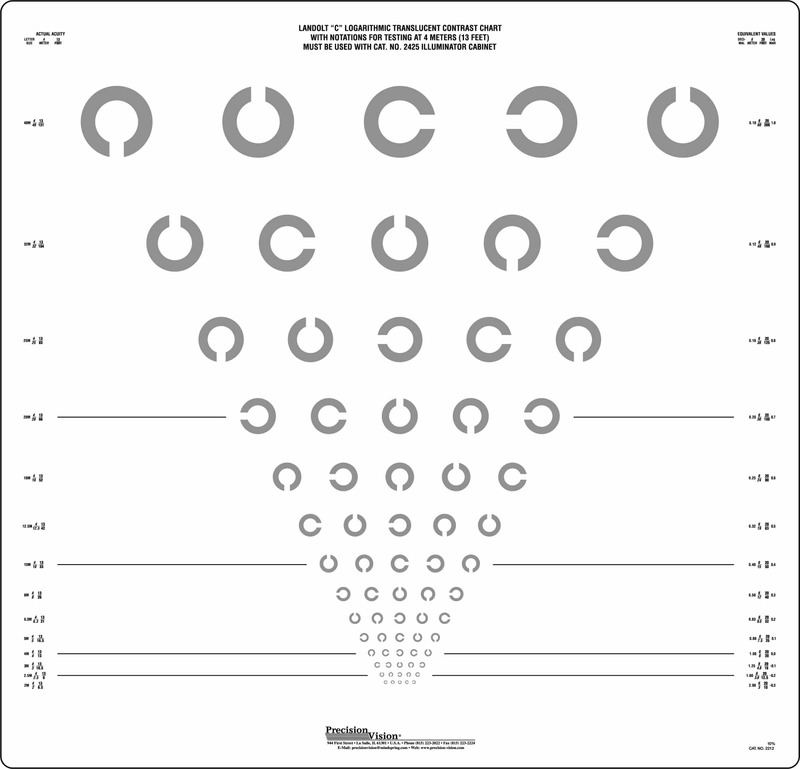 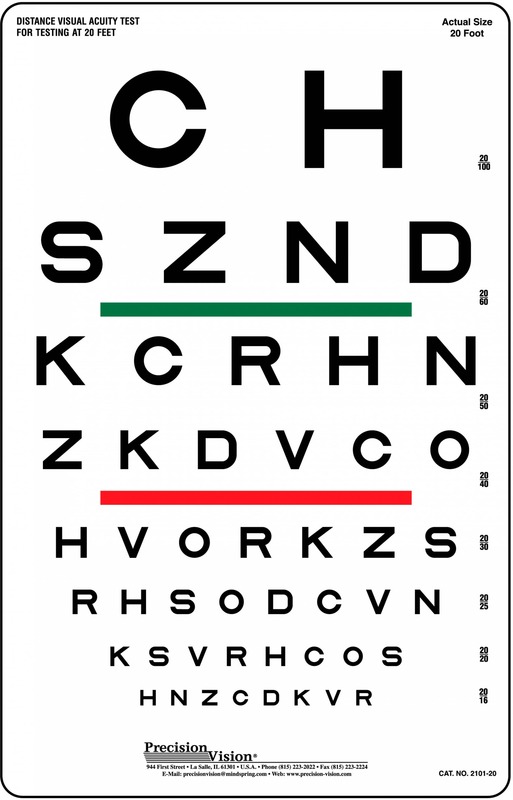 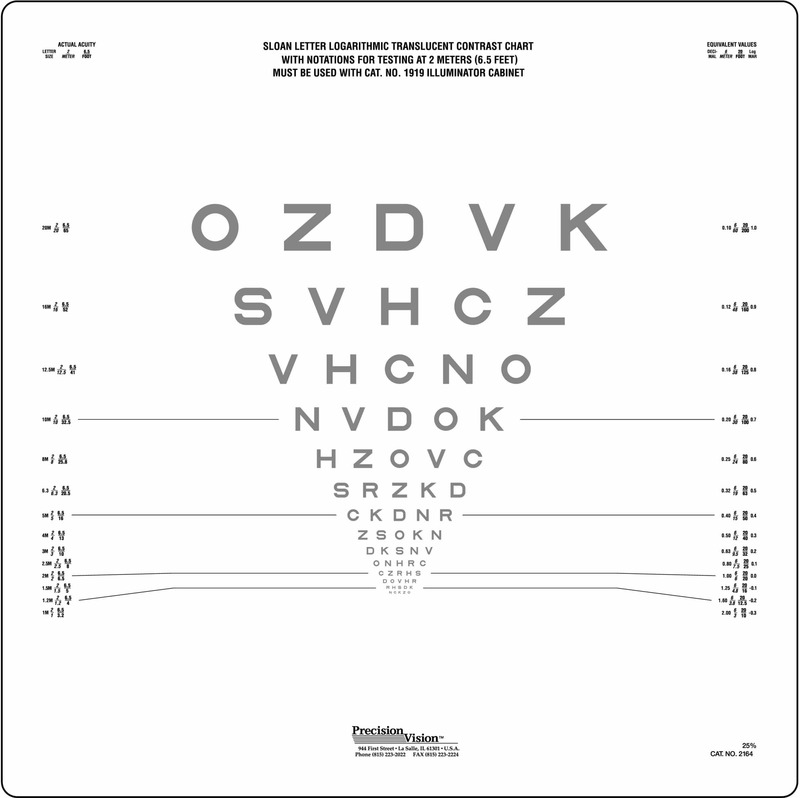 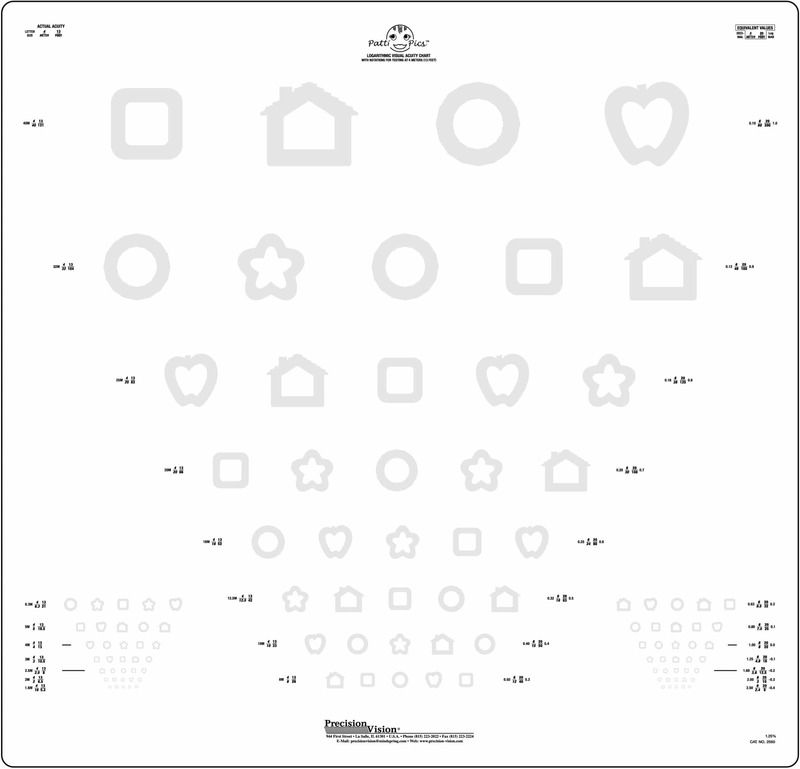 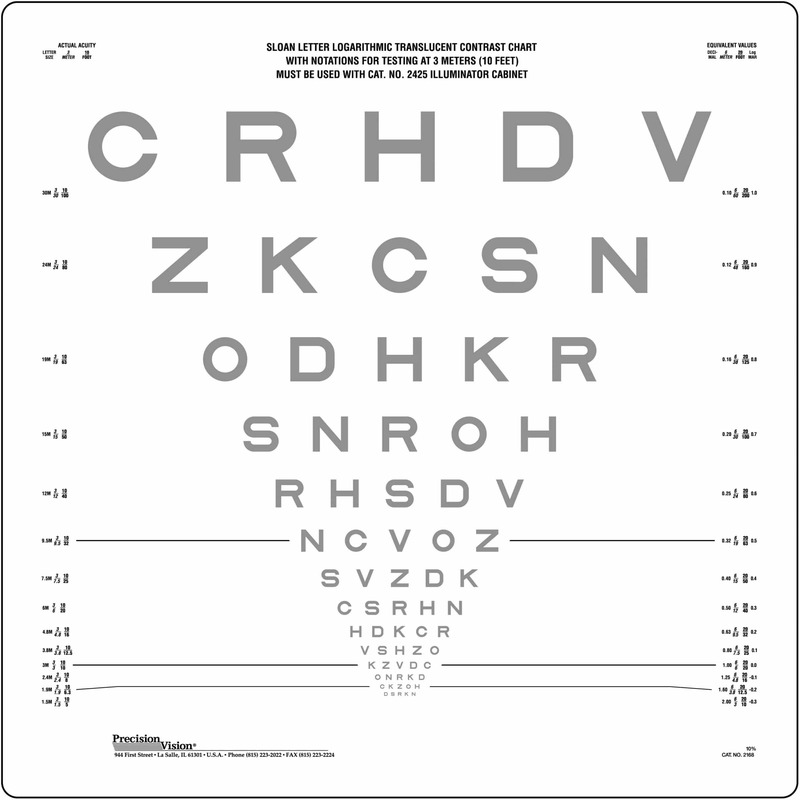 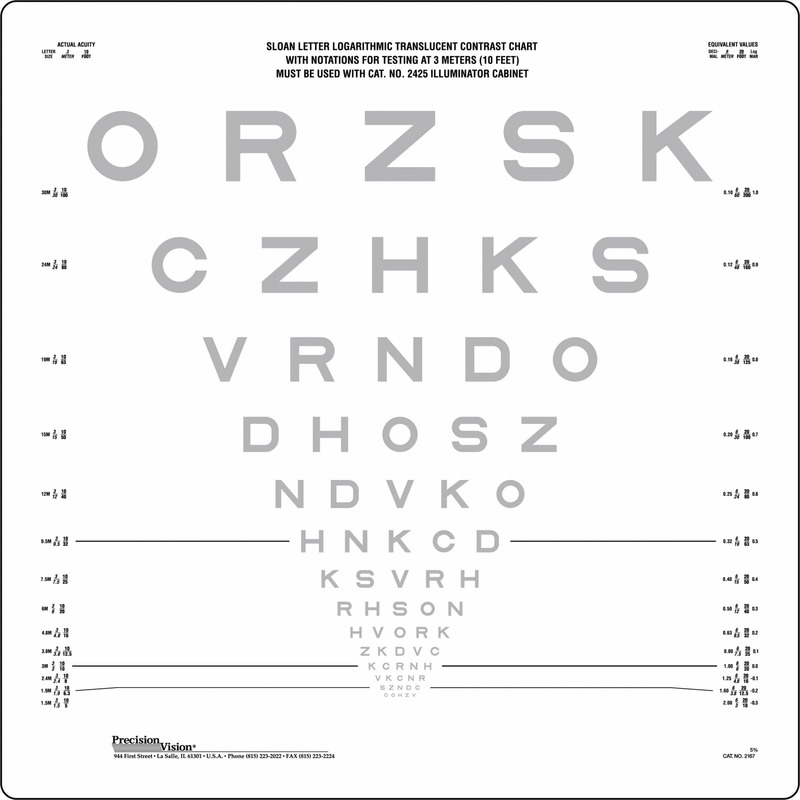 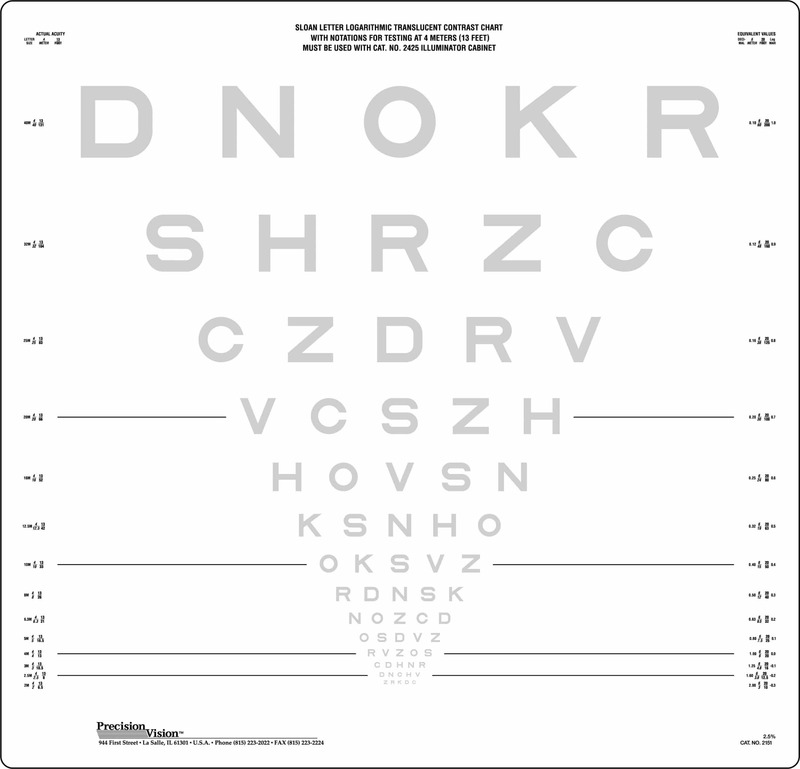 Our eye charts include a large variety of contrast and visual acuity ranges, including highly calibrated Sloan optotypes, PV Numbers and more, all of which adhere to the most stringent of industry standards.